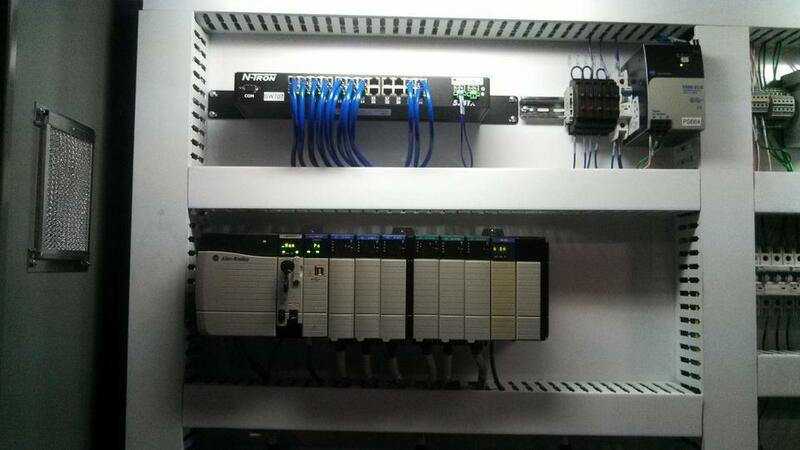 At InMotion, we also provide customized, automation solutions for customer applications. 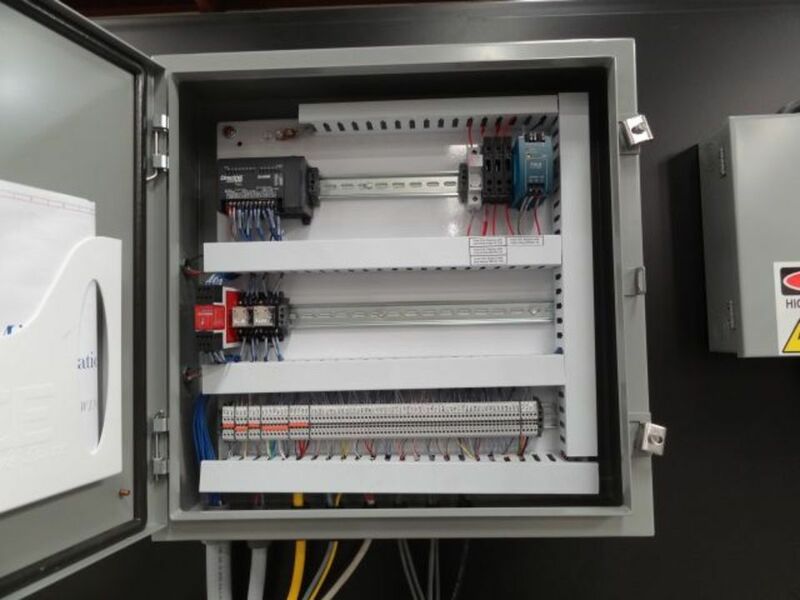 These solutions can range from PLC controls with a simple, single enclosure based system, with an Allen Bradley Micrologix 1100 all the way to a complex, multi-CPU distributed control system such as a ControlLogix Guardlogix-Based system with distributed safety over Ethernet among many different enclosures. 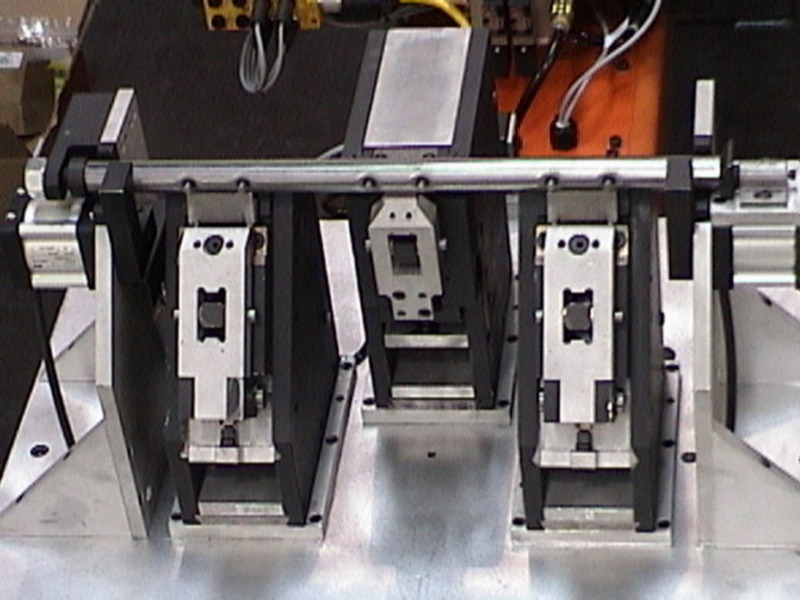 Designs include documentation, PLC programming, and HMI programming, in addition to robot programming if needed. We specialize in integrating in components and hardware from various manufacturers, and have experience with Allen Bradley, Automation Direct, Siemens, Omron, Mitsubishi, Schneider Electric, Phoenix Contact, Yaskawa, ABB, as well as many others. 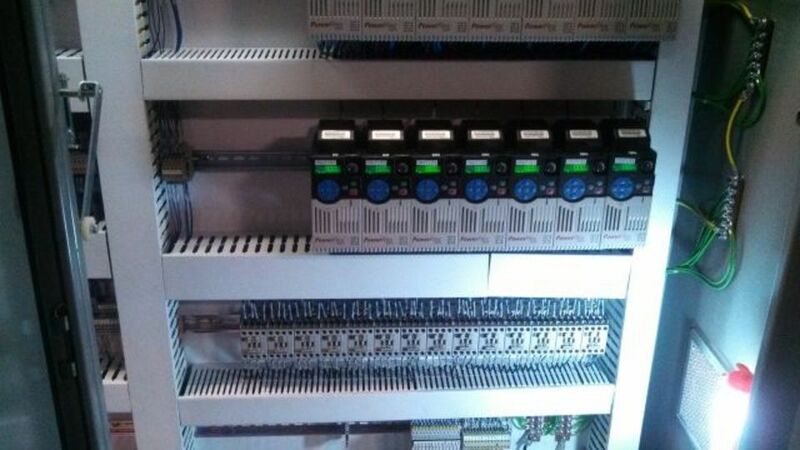 We work with the customer to utilize their prefered automation control brands to assist them with standardization of components. 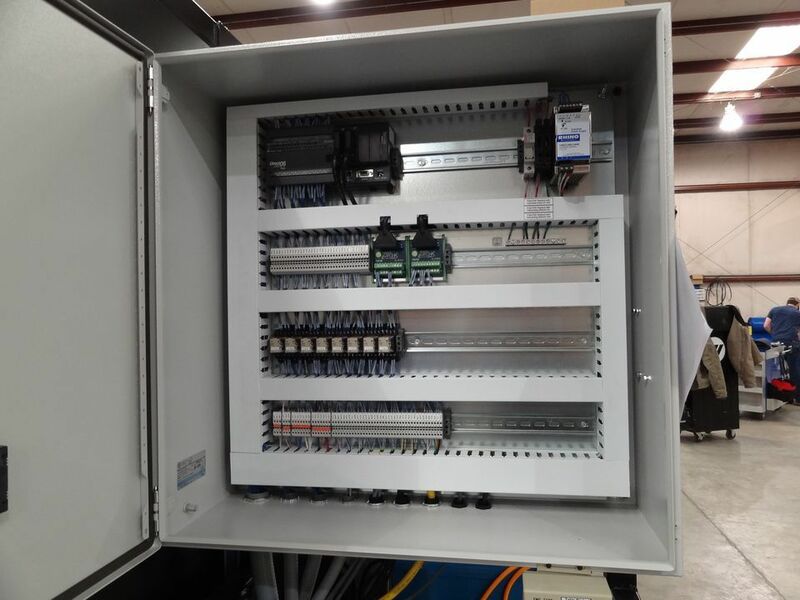 Controls can include PLCs, HMIs, vision systems, weld monitoring systems, and can include custom hydraulic, pneumatic , or electric actuators. 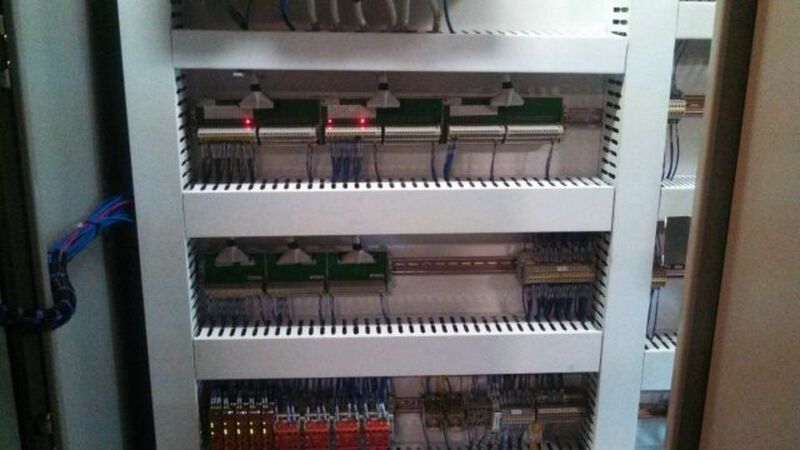 These are various control panels that we have built here at InMotion.